I've been struggling on and off with mild to moderate acne since I was a teenager. I've gone through phases of having clear beautiful skin, to others when I don't want leave my house without makeup! After years of this, I finally had enough and decided to do some real digging into the causes of acne. This is also one of my most asked about topics so I hope this will be helpful for you! One of my good skin periods over the summer! I've noticed my skin breaks out after eating certain foods that impact natural hormone levels. Overproduction of oil is usually the number 1 reason of acne and breakouts (granted we take care of our skin on a regular basis by cleansing, treating and moisturizing - which address factors 2 and 3). Anti-acne medicines (salyslic acid & benzoyl peroxide) work by drying out the skin and/or absorbing oil as well as killing bacteria. If we, however, go to the source of the oil production - and try to minimize and rather, regulate it - we wont have to harm our skin with strong medicines. Much better! A hormone is a chemical released by one or more cells that affects cells in other parts of the organism. A lot of acne stems from a hormonal imbal­ance caused by diet and/or the liver’s inability to process hor­mones efficiently. When we eat overly processed foods (high in sugars and calories), the body turns it into glucose and starts releasing it into the blood. This causes a high blood sugar level, which in turn, means a spike in insulin levels. (Insulin is a hormone produced by the pancreas which helps regulate the glucose in the blood.) Too many releases of insulin can cause inflammation - which in turn can cause acne (as well as eczema). When the brain recognizes stress, it involuntarily releases stress hormones (cortisol) that help thicken the hair follicle's lining, causing blackheads/whiteheads. If bacteria get trapped, a large pimple develops. The skin, being one of the body’s largest organs, is intricately connected to the rest of physiology including the mind. Just as the body is affected by stress, so is the skin. The body responds to stress by directing blood flow and oxygen to areas vital for fighting the stress, and withdraws from other areas including the skin. The skin subsequently becomes starved of blood and oxygen, making it dehydrated, dull, lifeless and prone to clogged pores and breakouts. So what do we need to do to cure acne naturally? Just as some people are taller than others, have different colored eyes and so forth, the way we digest and metabolize foods also differs. So even though you might be envious of the girl who can eat whatever unhealthy food she wants, but doesn't have a trace of it on her body, don't think there's something wrong with you and your body. We are all different, and we can either cry about it or deal with it and move on. I choose to deal. These foods won't make your blood sugar spike, thus controlling insulin levels thus inflammation which can cause acne. 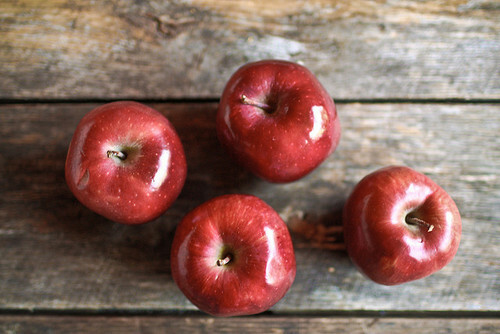 Red apples have a low glycemic index, and are high in antioxidants and fiber. Combine with fresh organic peanut butter for a delicious healthy snack! I've noticed my body is very responsive to the foods I eat. I've been off dairy for a couple of months due to the hormones in milk and I feel great. I recently broke out pretty bad after eating a donut - processed white carbs with high sugar content. Yes, I don't know what I was thinking! (Time of the month makes me feel off sometimes.) I saw the effects the next day and I'm still dealing with these breakouts several days later. But on the other hand, I'm happy I went through that because I realize what an impact white carbs really has on gluten-sensitive people like myself. If you are dealing with breakouts and mild-moderate acne, you may want to try eliminating these foods to see if you notice a change in your skin. If you are struggling with any of these symptoms, research into this information I've described. It may help you! I am no doctor, but I do believe in the power of fresh fruits, veggies and water, and I believe any health related problem can be cured by a proper diet and exercise. There is an abundance of information and resources online. Google everything & use it to find the answers to questions that spike your interest throughout the day. It's so important to be curious and question what marketers and advertisers, as well as day to day people tell us. Everyone's body is different, and reacts differently to certain foods depending on how sensitive you are to them. Do your research and monitor the effects. so many thanks for sharing such informative post. I'm glad more and more people realize the link between acne and diet. 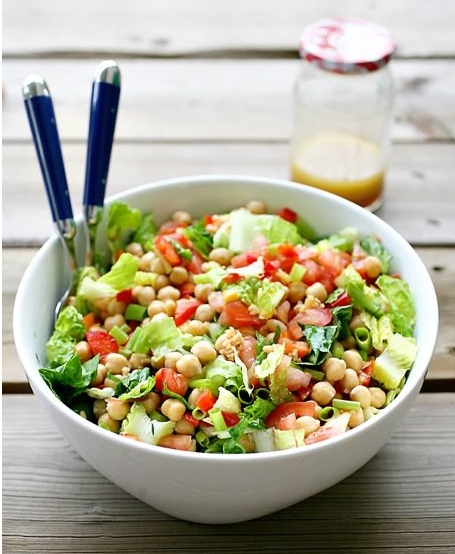 I was perfectly clear after changing my diet, but then I took it for granted for the whole summer and ta-da! My skin now looks awful. I went back to my old diet and no new breakouts (maybe one or two), and I'm treating the existing acne with Retin-a. Very informative article Annie! I am also very concerned about my skin and like to take care of it. I would really appreciate if you check out my blog and be a part of it. I love your blog and makeup tutorials on YouTube. This is great advice, and I wanted to let you and your readers know a few of the things I've used throughout the years to keep my skin looking great (especially teenagers who may have skin problems). Some of these topics you have discussed, but I wanted to tell how they've helped me in my situation. 1. Eminence Organics skin care products. They are the absolute best! 2. I've been cleansing, toning, using a serum and moisturizing my face twice a day since I was 12 years old and have always had great skin because of it. Many people think I've just been lucky, but I can assure you it's from doing these things twice a day. There have certainly been times when I fell asleep without washing my face and blemishes were present the next day. 3. So Delicious brand unsweetened coconut milk - high in medium chain fatty acids (which are not stored in the body but readily used as energy) and no added sugars like the majority of dairy alternatives. 4. Almond butter since almonds are an alkaline food. 5. Eating as many alkaline foods as possible. 80/20 diet which is simply eating 80% alkaline foods, 20% acidic foods. This diet and alkaline/acid levels can easily be googled. 6. Soy - Although I used to consume large amounts of soy, it's certainly something that almost never enters my system anymore, and I'm very glad you mentioned this. We tend to believe soy is great for us, but it tends to do more harm than good considering the amount of estrogen present. 7. Gluten - Again, this is something I once consumed in large quantities. I did a detox which omitted, among other things, soy and gluten. It was after this detox when I once again beginning to reintroduce soy and gluten into my diet that I discovered the severe headaches and all-over body aches I experienced as a result of eating these. Never again! I see that you are going dairy and wheat free, wheat has gluten but so does rye and barley. However, if you're avoiding wheat, you probably won't consume rye or barley either since most things that have wheat also contain one of these. 8. Sugars - As you mentioned, they can cause an imbalance in hormones and lead to many ups and downs in terms of how you feel both physically and emotionally. 9. Water - We're always told you should consume eight 8 ounces glasses of water per day. However, how is it that someone who weighs 150 lbs. should drink the same amount as someone who weighs 100 lbs.? The answer is to drink 75% of your body's weight in ounces of water per day. So, if you weigh 100 lbs., you should consume at least 75 ounces each day. This is something I discovered a few years ago, and I'm glad I did. Drinking more water has certainly made a big difference. I hope others can find this helpful. Thanks for this annie. I hope your fine and doing well and i really miss you and hope you have a video up soon but i can at the same time understand the situation in america so take your time no need to rush and hope everything returns to normal in america. Can you please do a start to finish makeup tutorial please x. and once again i hope your doing well. I have been dairy and wheat free for 3 months and I went from having acne to clear skin! It's unbelievable!!! Can you do a post with your favorites perfume ? Thanks for this blog post Annie! Thank you so much for your information! It was very helpful! You are such a role model for people. I started stopping sugar and then dairy ... my skin got better, but it wasn't enough. I used to have chronic digestive pains ... end up ! I used to have big headaches ... end up ! I didn't have hormonal cycles for 3 months since I stopped my pill, and I have just ovulated a few days ago. Concerning my husband, It is dairy overall. So, I absolutely agree with your post !! Love your blog Annie! Love your lifestyle and tips of all kinds! Thanks for sharing and keep up the good work! All my love and support during this hard time! I really enjoyed reading this article. Even though I knew most of these things, it's nice to have a reminder. Thanks! Thank you so much for this very informative blog! I love you and your attitude, thoughts, and the way you carry yourself. Keep us in touch with your situation. God bless you and your family. i can barely function without my cup of green tea every morning. makes me feel so much better. 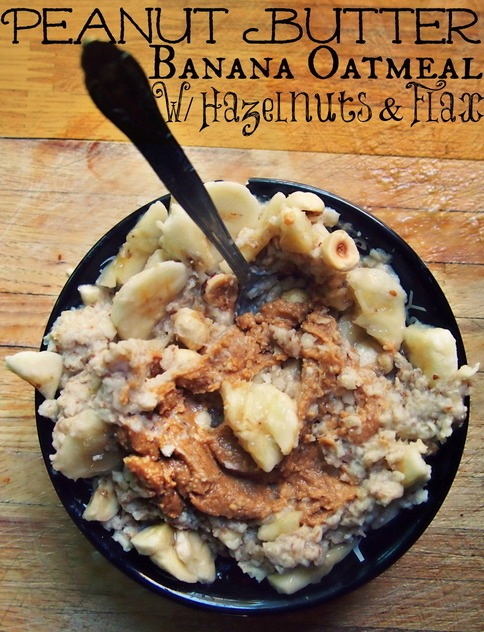 That banana peanut butter oatmeal looks so delicious. Can you post the recipe pls..love you! Love this post, its really helpful!! The foods look so healthy and delicous!! I’ve had mild acne since I was 14 years old and the best thing I have ever done for my skin was going to a dermatologist when I was 22 years old (which was 1 year ago). I was lucky enough to get a young female dermatologist who seemed to know what she was talking about. She ended up prescribing me the ReTrieve cream which I used every night for 3 months and it cleared up my skin. After those 3 months I started using it only twice a week. On top of this she recommended I wash my face morning and evening with Cetaphil (lovelovelove) and use an oil free sunscreen for my face when I go outside. I also started using moisturizers and foundations that are labeled Noncomedogenic (do not block pores) and are fragrance free. This seemed to keep my skin acne free on top on the other things. A little trick (passed on from my mum) is to use Penaten Cream on red pimples or spots on your face. It’s a cream used for babies (so it’s mild) against skin irritation. I found that putting this cream overnight on pimples helps reduce the redness by a mile. The active ingredient here is Zinc Oxide, which reduces the appearance of blemishes, skin irritation and inflammation. I was a huge lover of carbs and dairy, especially dairy. I think I consumed too much of it. I didn’t give it up, but instead limited the intake to 1 diary serving a day (1 glass of milk or slice of cheese or 1 yogurt etc). My skin bloomed and welcomed this change greatly! The combination of all of this above helped me keep my skin clear. I also want to thank you for running this blog. You inspire like no one else has before to keep eating vegetables and fruits, which is still a daily struggle for me. Thank you so much for writing this! I have been getting really bad acne and have been looking into healthy skin foods and organic skin care. You couldn't have written this at a more perfect time! This is an amazing post Annie! I have already tried going gluten and dairy free, but I have to admit I wasn't very consistent and I stopped after only 10 days (the cravings took the best of me). I have to be more committed this second time around. I didn't know about soy not being so good for the skin, so thanks for sharing! Woow this is a wonderful post ! So informative! Thanks for the informative article and linking to my site (AcneEinstein.com). For natural treatment options, I would seriously look into green tea. There has been quite a few studies on the effect of green tea on acne. The problem (one of them) with acne is that the skin is excessively sensitive to androgens, thanks to genetics. Topical green tea can mitigate these sensitivities. It's been shown to reduce sebum production and skin cell growth. 4 studies have now shown green tea also effectively treats acne. As to soy, I wouldn't worry too much about the hormonal effects. Yes, plant estrogens can have hormonal effects, but they are generally very weak. And studies have shown soy to generally having positive for many hormone-related issues, like cancer. and I'll try to watch and write down everything I eat to see what food could trigger my breakout. Annie, thankyou so much for this article. I'm going to go dairy free and wheat free with you too! I've gone completely dairy free before and it completely cleared up my acne, but recently I've been reaching for comfort foods that contain dairy baked into them (i.e. baked goods, pasta, etc.) So I'm going to stop that too. Please keep us updated on your journey, so we can all try this out together! Very informative. Great job Annie! 1. I never had major acne issues and got pyoderma facial after I turned 30 (it basically happens due to hormones/stress) - bacterim, steriod packs, and steriod shots to face for major areas is what I had to do. Thank you so much for all this information. My daughter struggles so much with acne and nothing seems to help. I have read before that wheat had a lot to do with breaking out with acne. I will show her your blog. Thanks for being so inspirational and beautiful! have you ever considered becoming a vegerterian? meat also is not really that "healthy" for you. Annie, you are seriously the best beauty/health/style blogger that I have ever come across. You're so committed, positive and smart - that makes you a pure joy to follow. You're a big inspiration to me. I'd like to urge you to do some research on factory farming and the health effects of meat consumption, since personal health is so important to you. You seem like such a compassionate, intelligent person that I think you should see for yourself that eating meat is hell for farm animals, bad for the environment and likely not very healthy for you due to the hormones, antibiotics etc. that are contained in all meat products. Wow. I do like to have a slim and maintain my skin for a glow skin. But I never follow the instruction given by others. Because controlling my diet is something hard for me. But after read this article you have changed my mind. I should follow all of your tips. And I should maintain a proper balance in my food. Hi Annie! thanks to this amazing post, I do almost all the things that you say and I saw the big difference on me (not only in my acne problem, also with my body and weith) really quickly, but I changed milk for soya milk, because I don't knew that made the same effect, so I will change for almond milk as you say, just to try, and I will see!!! I have this acne problem for more than 10 years! i'm 27 years old and I want a nice skin :-) Thanks one more time and many best regards from Spain! I use to be a big meat eater and dairy lover.. i rarely eat meat now unless is organic grass fed and i know milk causes my acne so i stopped drinking it for a month and ta-daa it made my face clear.. I assumed soy products and soymilk was a a better option for replacing meat and dairy any good articles on its effect on our body?? I recently started drinking wheatgrass powder with water twice a day (fresh wheatgrass not available to me and plus it's a lot of effort to grow it yourself). I drink it first thing in the morning on a empty stomach and I drink it as the last thing I have at night and I've noticed in the first week I have been doing this - my acne has cleared immensely. 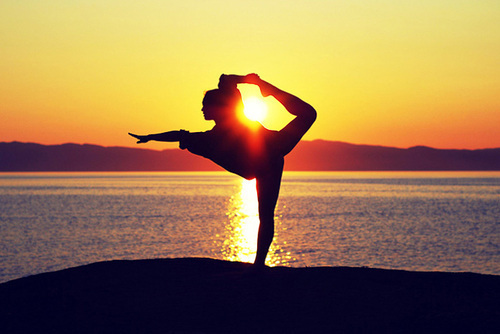 It also helps if you exercise in the morning until you sweat and then shower with warm water to clear out the toxins and then have the wheatgrass. I have very acne-prone skin and this is something I will continue :) I also drink white tea regularly. It's like green tea but less bitter tasting and the benefits of green tea are increased in white tea as it is the least processed. Very informative, I just started reading today a book call the Insulin Resistance Diet, since I been diagnosed with his, it teaches you how to balances carbs (from vegetables to wheat) and protein. The important thing is, is to always have a protein when you have carbohydrates, ALWAYS, proteins helps keep the blood sugar level instead of having carbs by themselves and nothing controlling it. If you eat something such as a snack (like the donut which is carbs) with out any protein to balance out the sugar levels, it will cause some serious notable reactions in your body. Im still learning more about it, hopefully this will really change my body and help me change my eating habits and food choice. Merry Christmas, love your blog! first time writing here! I have been off wheat and dairy for nearly a year now and the results have been amazing. Not only do I feel better and have less bloating, my skin is clear, glowy and healthy and I rarely have any breakouts. Sometimes a wheat and dairy free diet is hard to maintain - but the results make it worthwhile! Bonjour Annie, je suis désolée d'écrire en français mais ma grammaire anglaise est vraiment très mauvaise... Sinon j'adore ton blog et les conseils que tu donnes, en particulier dans cet article, sont très astucieux. Merci beaucoup! Regular exercise, drinking adequate water, avoiding excess sun-exposure, cleaning, toning and moisturizing your skin daily or in short, having a healthy lifestyle can lead to younger looking skin. I LOVE YOU! You are the most inspiration and kind hearted beauty guru on YouTube. You deserve way more subscribers! I'm blogging as well and i really appreciate your content about acne. The article has really peaks my interest. I've got problems with acne as well and looking for tips to get rid of it. I am going to bookmark your site and keep checking for new information. I suffered from bad Acne for several years. I tried using a lot of medications but to no avail. My zits used to get worse with these harsh creams. The results started showing up when I began applying Azelex. Because of its effective and ‘harsh chemicals free’ nature, zits on my face subsided within the usage of a few weeks. I feel so relieved that all the zits and bumps on my face are gone. Thanks Azelex! In my teenage life, one of the most unforgettable moment in my life was having acne on my face. When I got annoyed but those unwanted spot, I usually squeezed or pop them up..I hated that years but after taking some medications and using natural products, my skin started to get clear. I believe one of the main factors why I had that acne was because of stress. There were sleepless nights for me when I was in college so I think that stress can lead to acne breakouts. i've dealt with moderate acne since early high school years. once i got to college, the acne was out of control. i was prescribed benzaclin as well as epiduo to help fight the severity of the acne that had manifested itself on my forehead. once my forehead was clear, my chin had become the new breeding ground of painful and embarrassing acne. this past year, i got a clarisonic brush for christmas, i was using natural facial cleansers and practicing hygienic makeup application. this seemed to keep the painful bouts aside, but i was still experiencing consistent flareups that made it hard for me to enjoy time outside of the house. what finally flipped the switch was cutting dairy out completely (i'm lactose intolerant but very lazy with it), cutting all meat besides fish (guess you could call me a "pescavegan" now!) and trying out a new cleanser. i realized that my skin was extremely sensitive and it wasn't taking well to anything with fragrance in it. i chucked my good-smelling cleanser with along with the moisturizer and replaced them with MyChelle's unscented honeydew cleanser and moisturizer. with the combination of my new eating lifestyle and listening to my skin's sensitive needs, i'm happy to say that i'm completely acne free. 1. i wash my hands thoroughly before washing my face - no point in taking off makeup with dirty hands! 2. when patting my face dry after washing, i use a fresh viva brand paper towel each time and then throw it away. wash cloths harvest bacteria which is the last thing sensitive or acne prone skin needs. the fresh paper towel ensures that you're not putting bacteria back onto your clean face. 3. unscented/fragrance-free products: i have all types of allergies - be it animals, food, or typical seasonal allergies like pollen. my most unfortunate allergy is fragrance. diagnosing this was the catalyst that boosted my skin from good to perfect. 4. i moisturize only in the morning, immediately after washing my face and about 5 minutes before applying foundation. i have normal to dry skin, so i use my moisturizer as a primer. it also gives me a very fresh and dewy look to my skin. applying moisturizer day and night proved to be just a bit too much for me, but generally that's not the case for everyone. This post is just amazing Annie! :) An acne doctor nyc would surely say the same thing and points. Thanks for sharing.Your skin looks very refreshing. In addition, Go fruity. Eat loads of fruits and vegetables. Focus on fruits that are rich in Vitamin C and copper because these compounds help protect the skin. Thank you so much Annie! I am 14 years old and I happen to have bad breakouts spreading throughout my skin including not just my face, but my back. When I was about 12, that is when I started to breakout. I never really took the time to care about it. Ever since, my skin has gotten worse and worse, and now that I'm 14 it has gotten to the point to where I just wanna cry. Lately, I've been trying to help improve my skin but I've been making it very difficult for myself because all I eat is junk. I'm talking about serious junk such as chicken, fries, burgers, brownies and not raking the time to have an apple or salad. When I first saw your videos I thought to myself, "How is this woman so gorgeous, and how is her skin so clean and beautiful?!". I realized that I had to step up and make a change with my skin. I've really been enjoying your health and skincare videos. They have been quite the help. I also really love your blog and I can honestly say that if I didn't find out about you or your blog, is probably give up on my skin and myself. You have really showed me that anyone cam have beautiful skin if they just set their mind to it. I can't thank you enough Annie! Thanks for sharing with us these hormonal acne treatment, this has been really helpful to me! Acne can be hard to treat esp. during teenage years and it is necessary to have a balanced and healthy lifestyle to alter such acne breakouts. Your article is very nice. I was suffering from Acne, since a long time. I started using Generic Azelex cream 4 weeks back and I can see a lot of improvement in my Acne. This cream is very beneficial. I agree with you Drinking plenty of water is really very important for preventing acne as it flush out toxins accumulated in the body.It is clear that drinking plenty of water and eating a healthy and balanced diet full of fresh fruits and vegetables are important to maintaining skin health and preventing and even reducing the severity of acne. The working of the acne curing products sounds quite effective as the personal experience about the product introduced in this blog. I have used it and found it working on my acne from the very first day. I would like to suggest this product to people having acne on their face. Really good info here. Thanks for breaking down the 3 factors as well. out and have no control over the ingredients that goes into your meals. Your blog is very useful and have nice information . Hi there Annie ! :) Certainly a great blog! Your blog is very useful and informative. I like your ideas that you've shared to us ! It will help a lot of people treating there acne. Thanks for the tips ! It's so informative! Thanks a lot! Pimples are skin problems faced by almost everyone. It is one of the major embarrassments in social parties, colleges, offices or in many other social gatherings. Pimples can occur on face, back and chest. Pimples or acne is one of the most frequent, chronic and common skin diseases. It occurs due to the disturbance in hormones or at the time of puberty. Hello! I like this very much, recently I have been checking out vitamin A (and specifically retinol A in its purest form, a bit like this) for its amazing possessions on the skin, too. This produce looks really interesting, so thanks. I have shadowed you, as a new blogger, and would love to contented you to pop by to my blog too whenever you like! the skin, too. This produce looks really interesting, so thanks. Just love to be here, thanks for sharing such helpful thoughts. Truly remarkable web blog. Glad to be here. Choose products that are free from parabens and fragrance free too. There are many ingredients that can help non comedogenic that can help fight fine lines and wrinkles. I can really connect to this post as I had a severe acne once, and instead of going for some expensive treatment and cosmetics, I just get along with a healthy diet and reduce my stress level followed by some healthy exercises. That as all and here I am with a healthy skin from then onward. It is essential that you associate your self with good and enough sleep and rest to have youthful skin, aside from having a good habits of course. Cleansing shall be one of the most important steps of your skin care routine. Even if you are not having an acne problem washing the face twice a day helps in removing dirt, oil and dead skin cells from the surface of your skin. Less oil and dirt also means less acne.Also, Pimples contain nasty bacteria. If you pop your pimples, that bacteria has a chance of getting inside other pores and giving them a place to stay without charging rent, so to speak. Make your pimples pay rent. - Bad foods. This is important! These foods induce acne because they're acid/mucus forming and cause the immune system to become weakened. The body does not know how to digest and utilize them properly, so instead, it pushes the toxins out through the skin causing buildup and then spots. One must eliminate ALL of these foods if one wants beautiful clear skin. There is NO exception. If I eat these things I breakout, and I'm absolutely positive that others that suffer with acne do as well. It's that simple. So here they are: Dairy, gluten, processed sugar, too many nuts, alcohol, caffeine, fried foods, and processed foods. - Lack of water. I never drank water the way I do now, and that was a big problem. The body cannot function correctly without proper amounts of water, specifically the organs. So of course this affects the skin, which is the largest organ of them all. - Lack of sleep. Not just enough sleep, but quality sleep. I didn't know that it was so important, and that it's the most critical time for healing. So without this sleep the body cannot, and will not, heal properly. Evening gaming, late-night movies, school work, or unfinished art projects are never worth staying up for. I found this out the hard way, so get it done during the day. - Stress. This can be the cause of almost any issue, including breakouts. Stress actually irritates the skin which can lead to redness, blotchiness, and even more sebum production which then can cause acne. It truly affects every cell in your body. I spent way too much time fretting in front of the mirror, which only made matters worse. - Lack of exercise. Not moving is one of the most taxing things on the body. Unhealthy individuals actually have less blood vessels in the skin and therefore the body doesn't get it's much needed oxygen. Not going outside in the sun too is problematic because insufficient sun makes skin dull and takes longer to heal. - Environment. Over showering daily with hot water, touching one's face, sports gear, cell phones, makeup, dirty pillowcases, etc. are all things that may actually cause breakouts if the preceding issues haven't been addressed. A weak body may not be able to handle these things. So they could also become a problem, but are not a definite cause like the other factors listed over. So now that we know that we're not doomed by genes, age, or gender, here are some things to help combat acne and get rid of it for good. I start my day with green day as green tea has so many health benefits.. I would like to suggest to drink green tea for skin benefits. Green Tea helps to Treats Acne and Pimples, Work as a skin toner, Improves Skin Complexion. Thanks for your great tips. Actually acne makes a person to worry a lot. But, by following these tips it will help us to get rid of acne. Drinking plenty of water to cure acne is a great idea. The Refining Mask is extremely valuable for going away pimples since it comprises of sulfur as a dynamic fixing,acne treatment which is known to viably execute acne causing surface microscopic organisms. Stunning post. I really impressed this. Thank you for your wonderful sharing.